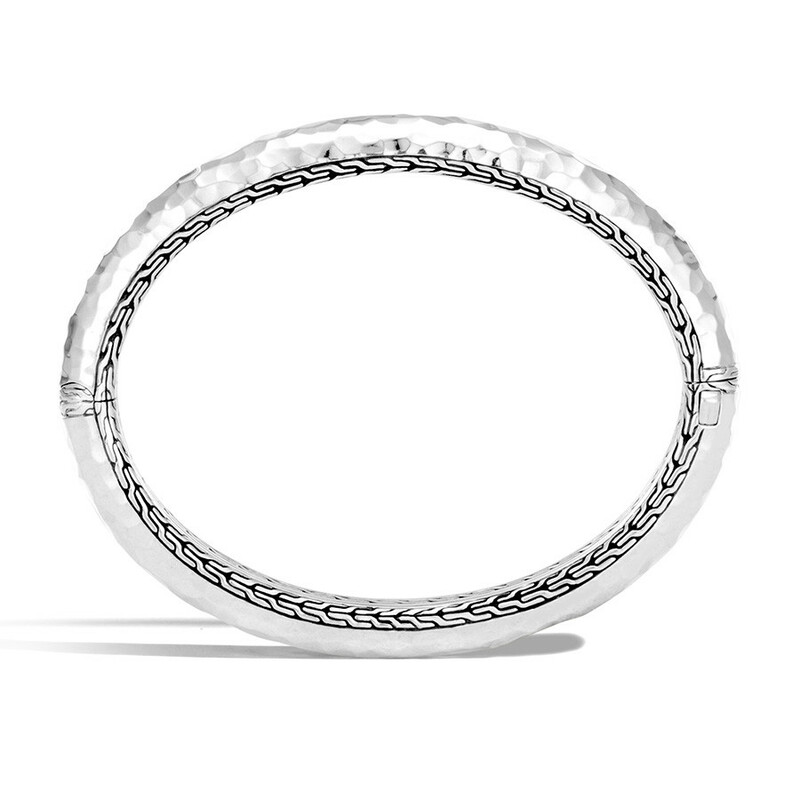 This John Hardy bangle from the Classic Chain collection is a dream. 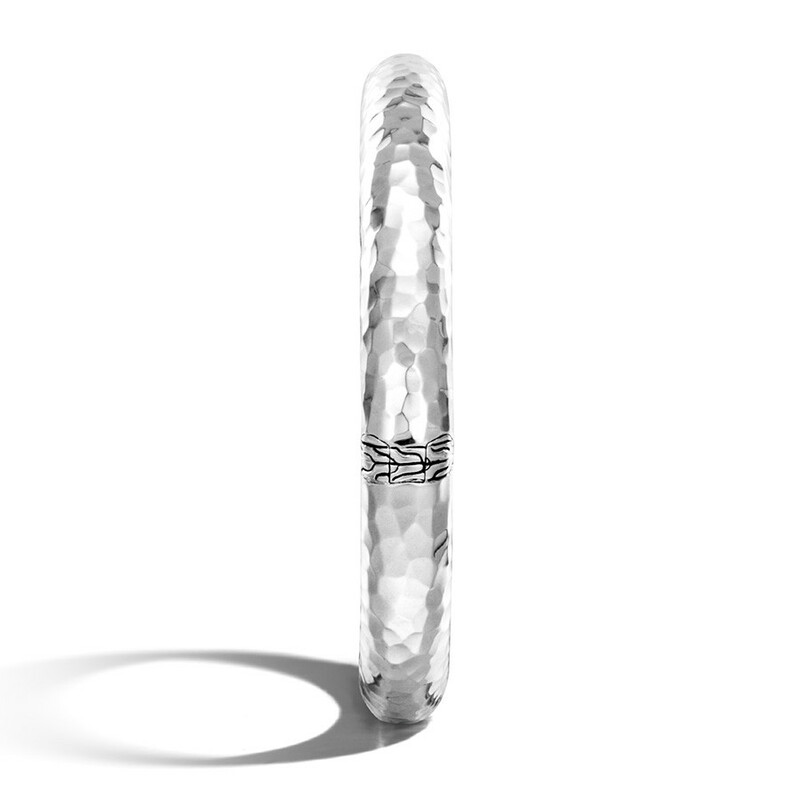 The sterling silver of this piece is gently hammered to give it multiple reflective surfaces, and it is trimmed with the classic chain motif for even more rich texture. 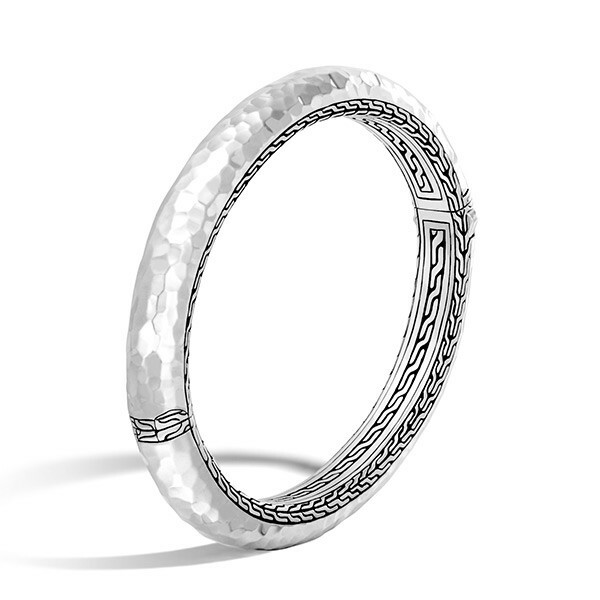 The decadent design of this stunning bangle makes it a classic go-to piece.